This small burial ground was laid out close to the Terranora Creek sometime in the 1840s/50s as part of what was originally known as Tarranora ('little river'), the first non-Indigenous settlement in the area, established from 1844. The cemetery lay in the vicinity of what is now Philp Parade/Dry Dock Road. Tarranora was built by southern cedar-getters. The logs they cut down in the region were transported south on schooners, some of which were wrecked on the shallow river bar. This was a shipping hazard until retaining walls were built in the 1890s, and among the dead buried in the cemetery were those who died in the nearby wreck of the schooner 'Ebenezer' in July 1859. 'At Tarranora is the Tweed's first cemetery and to this sacred spot where "the rude forefathers of the hamlet sleep", a pilgrimage was made last Sunday by Brisbane tourists, to inspect the neglected graves of the victims of the 'Ebenezer' and 'Mary Jane' disasters. Gnarled old age has its home in this cemetery situated on Government reserved land on the right bank of the stream facing the East with lovely Eucalypts all around where the numerous dead are lying. Rank weeds and bracken surround the crumbling gravestones, which speak of the disappearance or forgetfulness of those whom the dead have left behind, of the slender memories of the present generation for their grand-sires who went through storm and stress when the Tweed was young and Australia battling for its very existence. There is an unmistakable air of melancholy where the dead are lying. But the butcher bird whistles its song in the neighbouring thicket, the subdued sound of the sea can be heard moaning a requiem and except where the shadows are dense the bright sun covers all with a benediction - Requiescat in pace. There are only three graves visible and marked by tombstones, in one of which no less than six persons are interred, Old hands state there were ten or twelve well-defined graves there at one time though many more persons were buried there in what was for many years the only cemetery on the river, and two more monuments have disappeared by the erosion of the riverbank. The lettering on the monuments is weather-worn and some of the dates in the records of a whole chapter of tragic events are now almost undecipherable. Here they are. A third stone was lying flat at the water's edge, having been undermined by the erosion of the bank in many years' lapping of the tide. cluster of oysters has taken possession of the scroll on top. It reads:- 'Sacred to the memory of Margaret Wootten who departed this life August 3rd, 1856, aged 37 years; Also Charles Wootten who was drowned going from the Tweed River to Sydney on board of the ill-fated ''Mary Jane'' on 26th July 1861, aged 45 years. Gone out with the tide. May the Lord have mercy on their souls.' Erected by his beloved wife, Delia Wootten. In 1926 the Australian Workers' Union held their convention at Coolangatta. During a river excursion the delegates were landed at this old cemetery. Realising the significance of the tombstones they set to work with rope and pole to raise them into safety on the high bank. Then with bared heads they stood around while Senator Barnes, like a true patriot, gave a brief speech in memory... 'Peace to their souls, for surely in their careers it is shown these departed pioneers fulfilled some Divine decree in the regulating of a great destiny.' For which things the thanks of Australia are due to the A.W.U. and Senator Barnes. Dry Dock was not only the first town on the Tweed but several schooners were built there in the early days. Mr. Philp who has lived nearby for nearly 40 years, states that many years ago an old lady inspected the cemetery. She said her father Mr. Henry Gillett built a schooner just beside the cemetery and she was a native of the Tarranora hamlet. he turned to his officers and said: "Gentlemen believe me when I say that I would rather have written this poem than take Quebec." Of the ill-fated 'Mary Jane' I have never been able to gain any documentary evidence. The records of the Navigation Department go back only to 1870. Old hands say she was one of the many cranky coracles that went out from our port with a human freight and was never again heard of - mysteries that must remain unsolved until that day when the sea shall give up her dead. The late Mr. Tom Lillie who was living at the Dry Dock in the Fifties said the hotelkeeper was lost in this manner whilst going to Sydney. Bridget Gillett was the second wife of the late Henry Gillett, shipwright, who died at the Coldstream, Clarence River, 17 3 81 aged 80 years. With his wife and two children, he embarked as a ship's carpenter on the emigrant ship 'Hiberna' which carried 550 souls for Australia. When 60 days out the ship took fire and all efforts to subdue it were ineffectual. The boats were few and unseaworthy and hopelessly inadequate to the demands upon them. Over 500 lives were lost, including his wife and children! The survivors returned to Rio de Janeiro. Eventually he reached Sydney in 1826, where he built the 'Susan'. He was in that vessel when she was the first boat to enter the Clarence in 1830. On that river he built the 'Martha' and 'Elizabeth' and the 'Atlanta'. Then he went to the Bellinger and built the 'Matha Ann'. Moving to the Tweed in the early Fifties, Mr. Gillett built 'The Twin', the first vessel launched on the river in 1854, that being the year in which twins were born to Mr. and Mrs. Gillett, the vessel being named 'The Twins' in consequence. The lady who visited the graves many years ago was one of the twins. After the death of his second wife he returned to the Clarence in 1858. These three stones were later recovered and one went on display at the Tweed Heads Maritime Museum (later renamed the Tweed Heads Historical Society and linked with the Tweed Regional Museum). The Terranora headstone is still in the custody of the THHS. In the 1960s the 'Taranora Cemetery and Memorial Stone' was erected on the riverbank off Philp Parade, in the locality of the original burial ground. This monument is still standing. 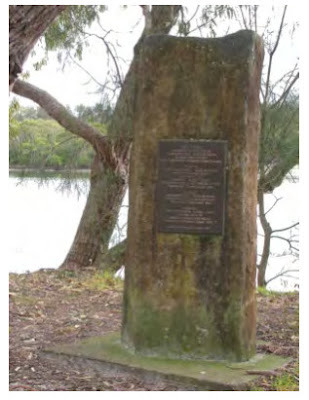 In 2007 a new monument was erected on the north side of the Tweed River, off a car park on Coral Street. While this is some way from the original location of the burial ground, it is nevertheless good to see an effort has been made to acknowledge local history. The new location off Coral Street. The Terranora cemetery was part of the foundation settlement in the Tweed estuary. 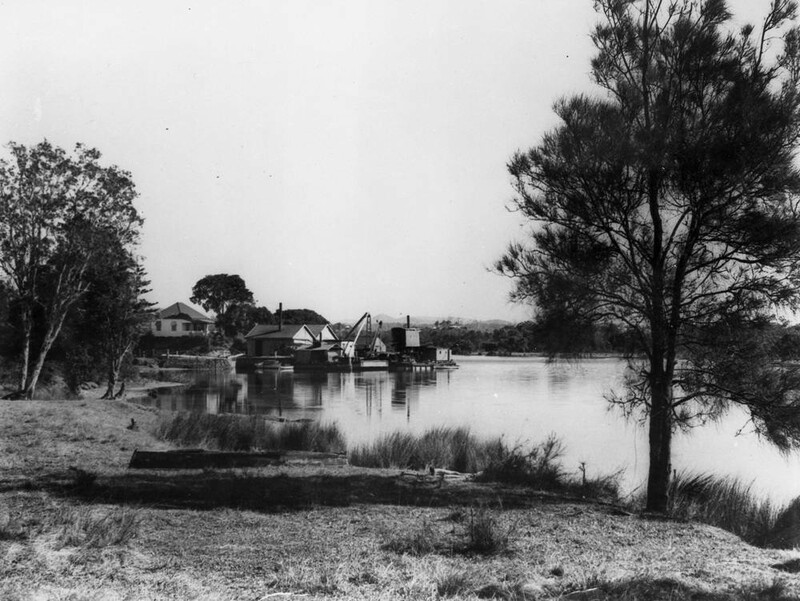 A cemetery was in use at North Tumbulgum from 1873 until 1947. It was later restored and can still be visited. The Chinderah cemetery was in use by the Lower Tweed during the last few decades of the 19th century. The council still maintain this place but it is closed to burials. The cemetery at Florence Street (now Charles Street Cemetery), Tweed Heads, opened in the late 19th century. It is still maintained by the local council but is no longer an operational cemetery. There is also a graveyard at Fingal which was been used by Aboriginal and Islander peoples during 1864-1964.